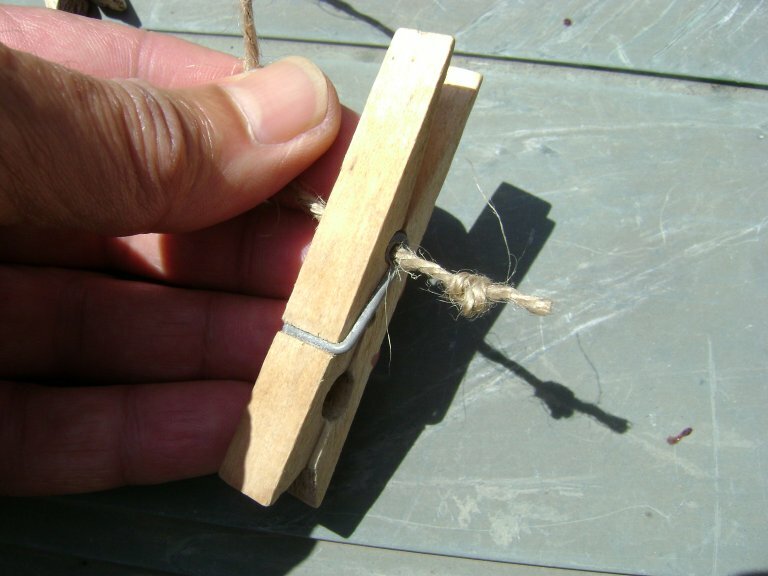 Push one end of the piece of twine though the center of the spring of one clothes pin. 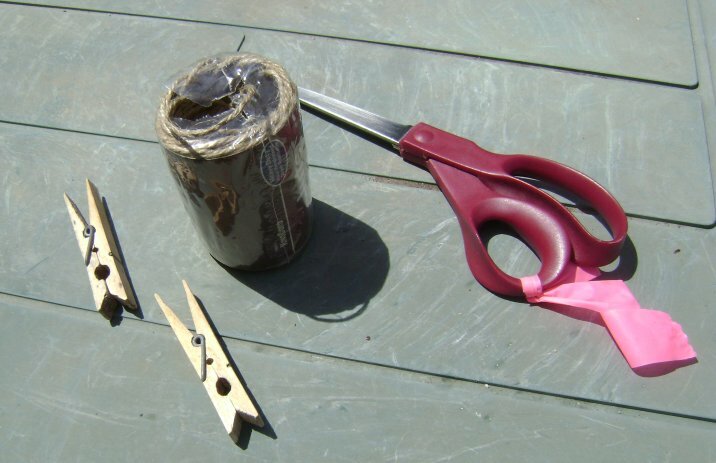 Tie a big enough knot so the twine will not come back out of the hole. 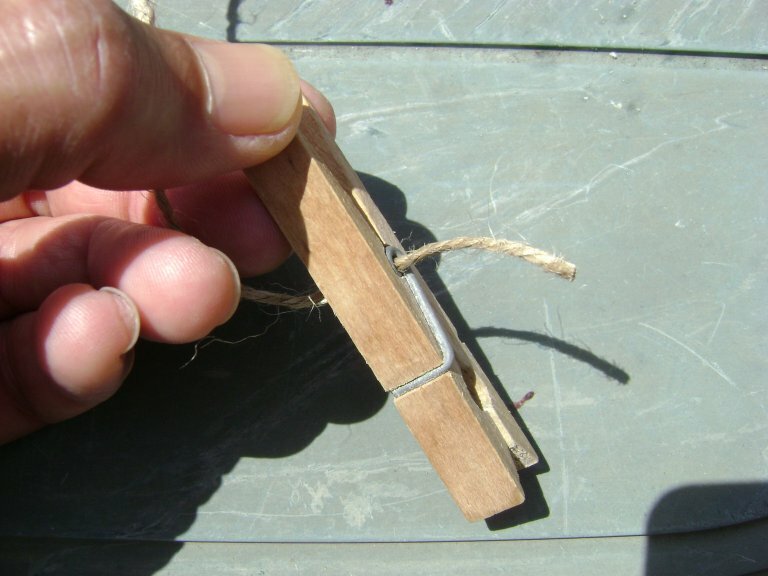 Do the same with the other clothes pin on the other end of the twine. 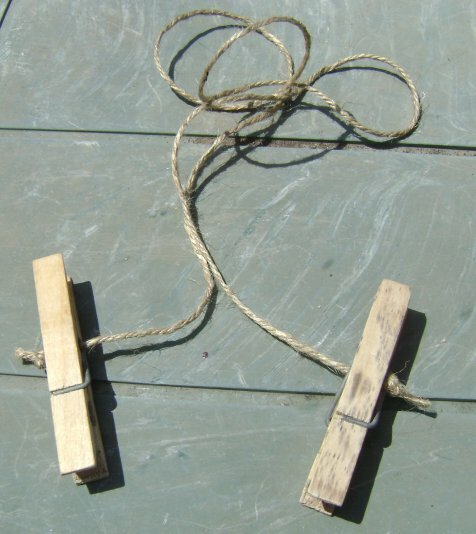 Sling the twine around back of your neck and clip the clothes pins on some container. 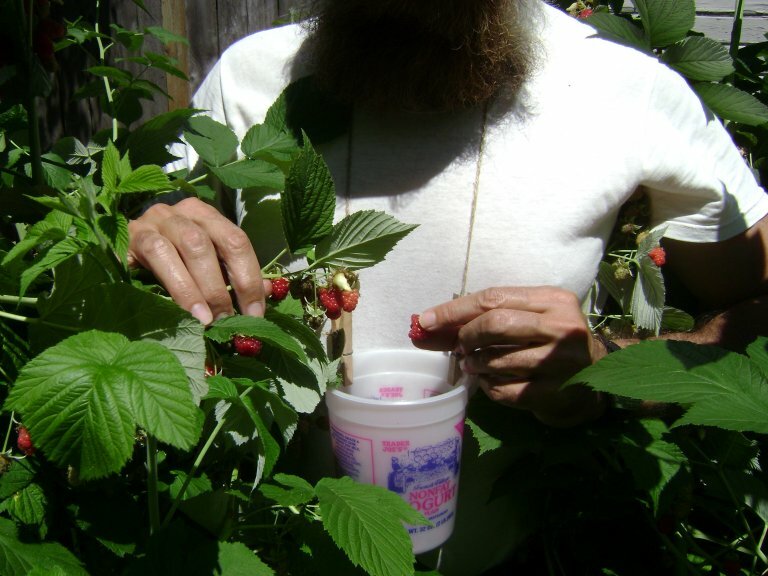 Now your hands are free for berry picking. You can also clip on to a ziplock bag, zip it shut, and put the berries right in your freezer.